Anvar has graduated from Samarkand Agricultural Institute in Uzbekistan with a Bachelor’s degree in Economics and Management and from Masaryk University in Czech Republic with a Master’s degree in Business and Management. He has practiced Agricultural Management for one year in Germany. 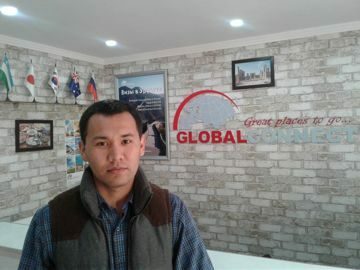 He has worked in some companies in Uzbekistan and founded the company “GLOBAL CONNECT”. Besides his native Uzbek and Russian, he speaks English and German. He is a strong, honest, fair and confident leader at every level of the business. He can inspire people to work toward common goals and to achieve things they never thought they could do.